As we wrap up 2017 and reflect on the progress we made this year, we want to take a moment to thank you for your support. Whether you donated, volunteered, or simply told a friend about The Gathering Place, we're thankful for you. 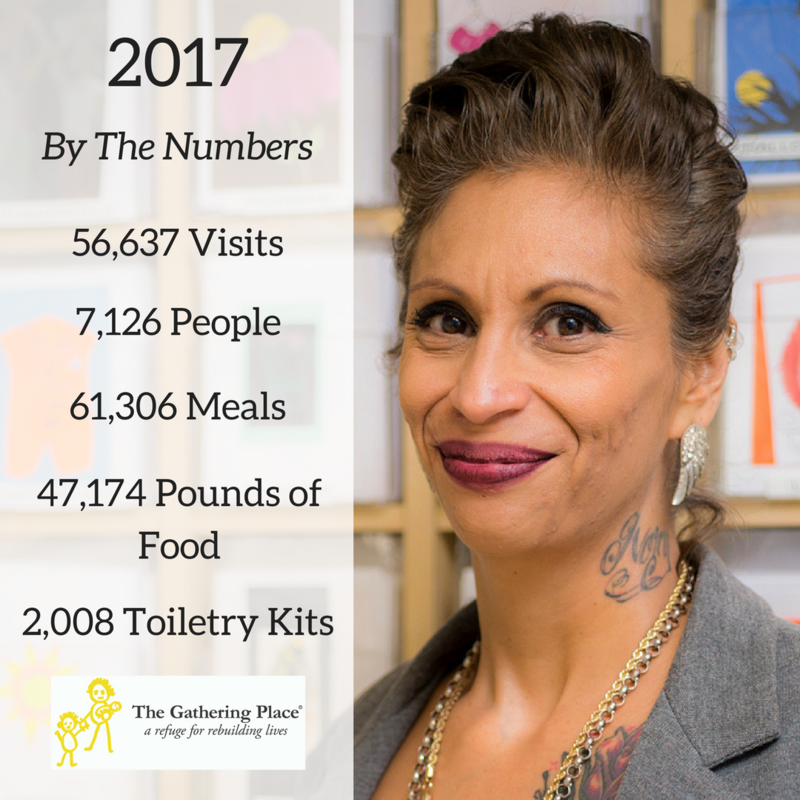 Because of you, we were able to meet the needs of 7,126 people who walked through our doors in 2017. But there's still more work to be done to help women, children, and transgender people experiencing poverty in the metro Denver area. We hope you join us as we continue providing a safe place to people in need.